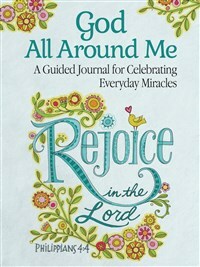 This uplifting guided journal will help readers savor the ordinary miracles that fill our lives every day, with thoughtful prompts, beautiful color illustrations, and plenty of space for reflective writing. Robin Pickens is a licensed surface designer, illustrator, and graphic designer in sunny Southern California. Robin licenses her artwork for a variety of products including Christmas ornaments, fabrics, calendars, greeting cards, gift books, home decor, wall art, dishware, and more. She has previously worked as a broadcast television art director and animator.